We started the border in March 2010 once spring finally arrived – it was very late that year due to heavy snow in January and then again in February and even some into March. I wanted to at least make a start on the border otherwise it wouldn’t be finished until April or May which felt rather late for the border to be able to grow in that time. As it turned out, there were plenty of problems once we started. I had originally assumed that the lawn in the chosen corner was laid on rocks or poor soil and this was the reason behind the grass always struggling on the left-hand side. Once I began pulling the turf up it quickly became very obvious that the cause of the poor grass was actually thick, solid, golden clay with rocks frequently found throughout. Sadly I didn’t take any before shots because the camera’s batteries were dead, but it’s easy enough to imagine from the following photos. The amount of work put into this border was beyond imagination, I ought to have seen it coming but my lack of experience didn’t ever prepare me for what would lie ahead. 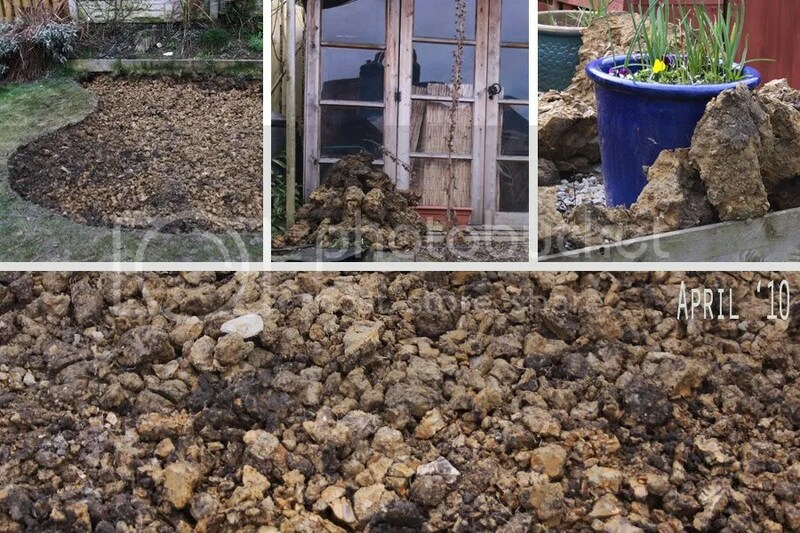 Once digging it soon became obvious this wasn’t a case of breaking up the clay, allowing to dry and then mixing with improver/top soil/sand, there was just too much. 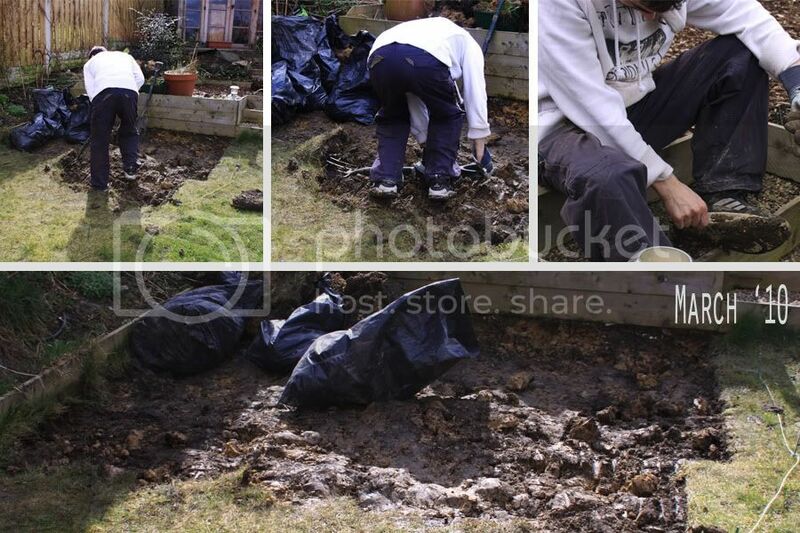 The most sensible option is to remove as much clay as possible… Easier said than done without the aid of a skip! 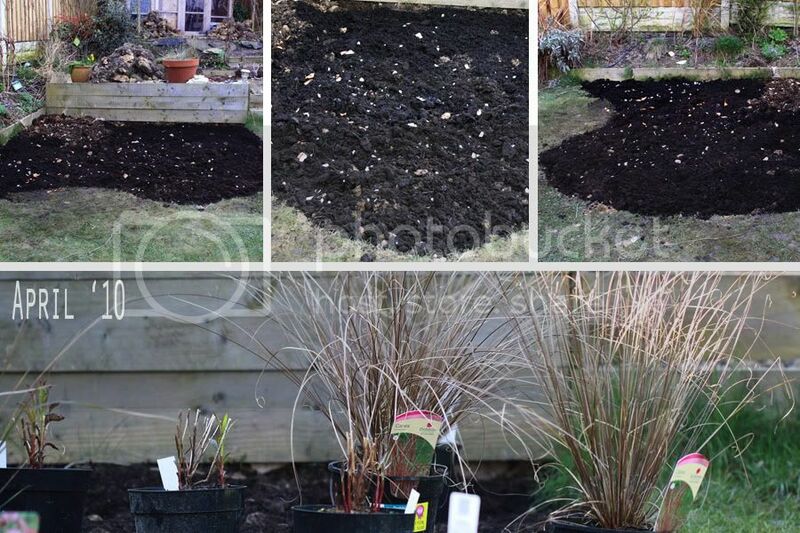 In the end I decided to chop the clay up as small as possible and then to add sand, grit and soil improver with the intention to allow worms to work in the organic matter and slowly improve the clay over the coming years. This also meant that I had to be prepared to regularly add on fresh bark chippings and compost so that the worms could continue to take the matter down into the clay. 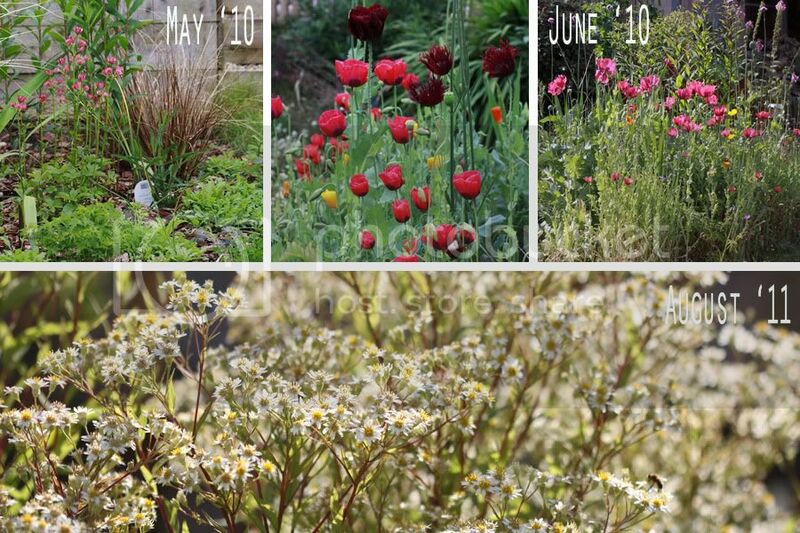 I am also concerned that the border is now effectively sitting on top of solid clay and may in fact be detrimental to many of the plants there. Although many have survived, I have noticed that some bulbs I planted in their first year have never materialised – whether they were eaten by Squirrels/rats/whatever I’m unsure but I’m also thinking perhaps it was too wet for them. Taken after I’d done some work removing some of the clay and bagged it up. 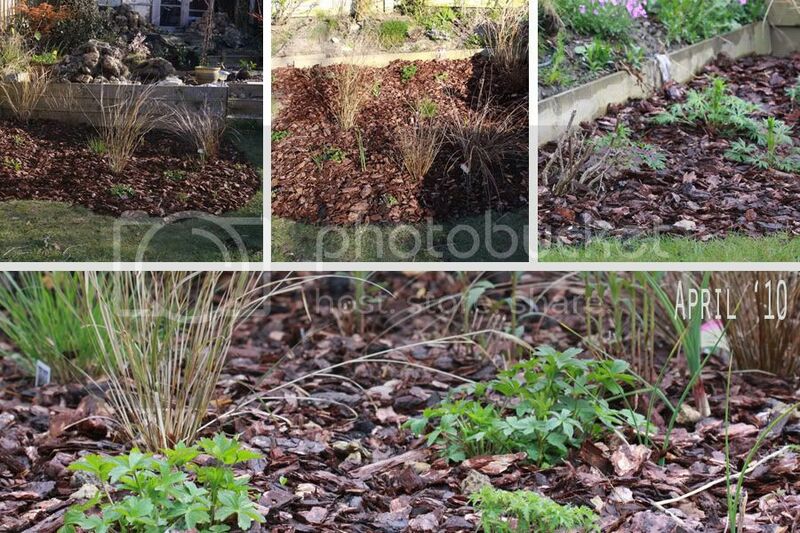 Once I put the finishing touches to the bed, it was ready for the fun part; adding the topsoil and sand for drainage. See what I mean about the clay?? I kid you not. **Note to myself – it’s a bad idea to attempt such physical work after you’ve been out all day at work. Even worse idea when you haven’t eaten for 6 hours. To add to the top soil we mixed in; sand, home produced compost, the remains from the veggie planter, mulch, soil improver and gravel. There were aspects I was not happy with, like the ridiculous wooden border was meant to go; the plan was to raise the new border to meet the old, but as I dug down to get rid of the clay it meant I needed to raise the border even more. In the summer of 2011 I did raise the soil level higher to try and create more of a slope from the fence down to the Aster border. It isn’t so noticeable as plants are infront but it does look better now the wooden edging is hidden. And finally, a note regarding the clay. We only got rid of it all in the summer of 2011 after hiring a skip. We virtually filled a small skip with all the clay; that was after having already thrown a lot away in the bin. Perhaps the most impressive thing about this border is the speed which is has matured. Within its first season it was looking like a very mature border of 3/4 years. I think it’s thanks to the amount of soil improvers I used. The best area of the border was the far left corner which was originally the boggy part. Here I dumped the entire contents of our compost bin and the plants here grew like crazy! In all I am very pleased with this border and it has to be my most successful by far. 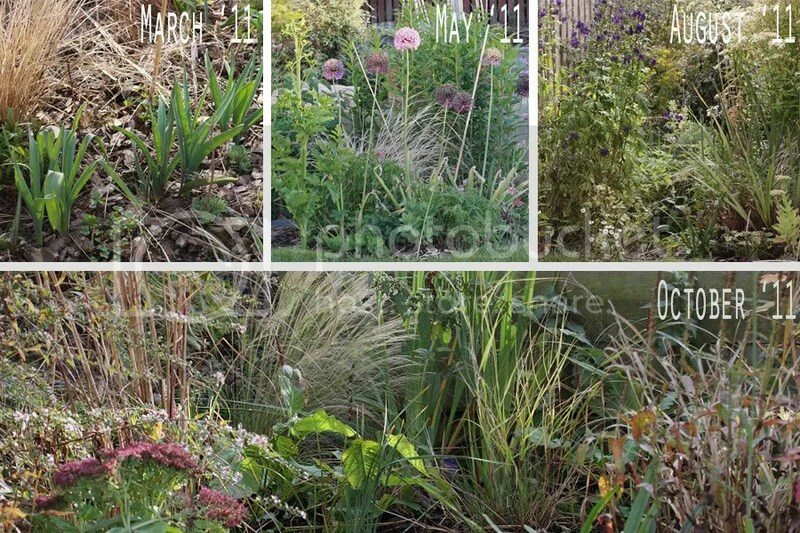 Yes I have moved a lot of plants and still have plans to move more and make some changes, but it is definitely the main feature of the back garden and I may well extend it a little further – we shall see.